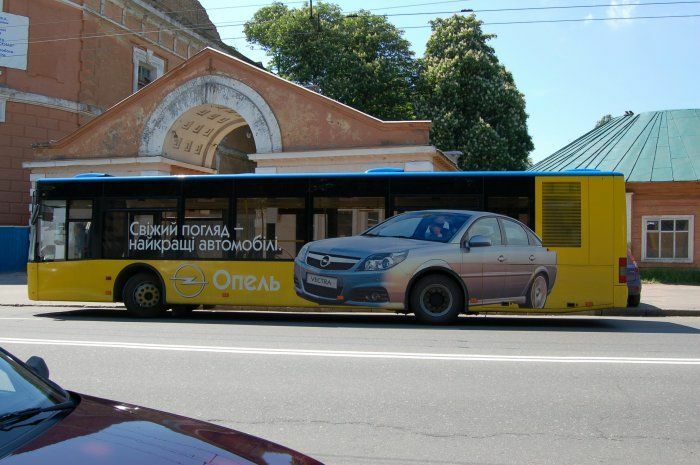 Such ad of Opel has been spotted on streets of an Ukrainian city. WOW, that’s is great, look at those 22′ custom rims …on the front only ??? That’s horrible advertising. 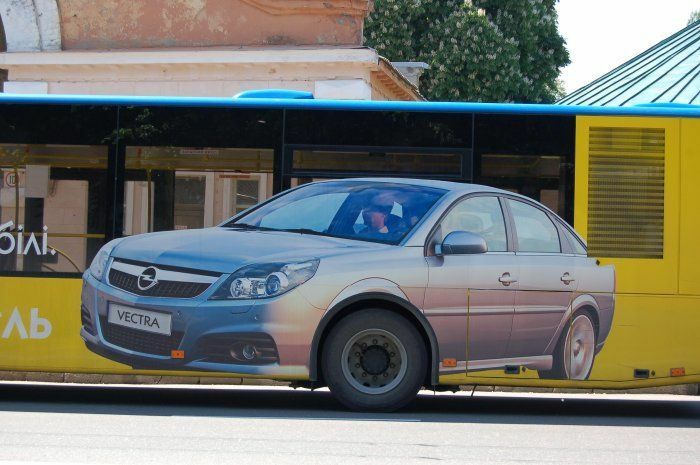 You take a car that’s ugly to begin with, and make it look as if it had a hideous and filthy 24 inch bus rim on it. I hate Opels. I drove a Vectra once, it was slow and sloppy.